Chinese president Xi Jinping has said that the One Belt One Road (OBOR) program will be the “project of the century.” The name is derived from the Silk Road Economic Belt and the Maritime Silk Road. A total of 65 countries have been identified along the Belt and the Road. These countries will form part of the mega initiative that has been taken up by the Chinese government. Initially proposed in 2013, OBOR involves an estimated investment of US$5 trillion on roads, rail transport facilities, gas pipelines, and power generating units. The countries that the project involves, produce 30% of global economic output. 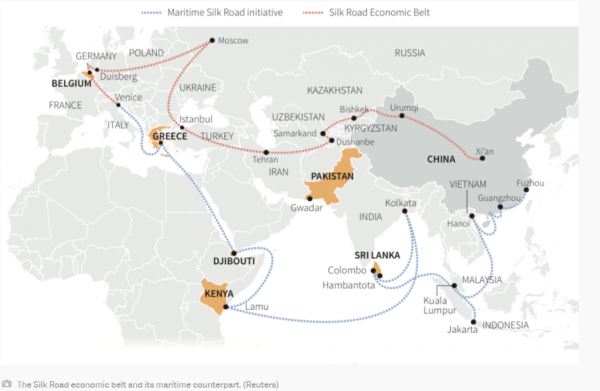 Over 60% of the world’s population live in countries that are part of the OBOR initiative. China recently hosted representatives from 52 countries at a summit held in Beijing. The focus was on giving the OBOR program a push. Approximately 50 Chinese government-owned companies are already working on over 1,500 projects which fall under the OBOR umbrella. Need to learn more before you can start investing in China? Sign up for a Phillip Futures seminar here and get the latest updates on the China market. One of the reasons that China is developing the Xiongan New Area is to reduce the pressure on Beijing, which has seen its population mushroom to a massive 22 million. The special economic zone is located in Hubei province and is approximately 100 kilometres from Beijing. The government has said some of, what it terms as “non-capital functions,” will be moved to the Xiongan New Area. How will this initiative help? Apart from decongesting Beijing, there is a broader plan to integrate the economies of Hubei, Beijing, and Tianjin. China has a long history of developing immensely successful economic zones. In 1980, it established the Shenzhen special economic zone. Today, the area has a large number of shipping and logistics companies and it has also established itself as a high technology manufacturing hub as well as a financial centre. The Xiongan New Area has the potential to attract large volumes of investment and give a boost to the economy in the region. In March this year, the Chinese government announced a proposal to establish free trade zones in Liaoning, Zhejiang, Henan, Hubei, Chongqing, Sichuan, and Shaanxi. 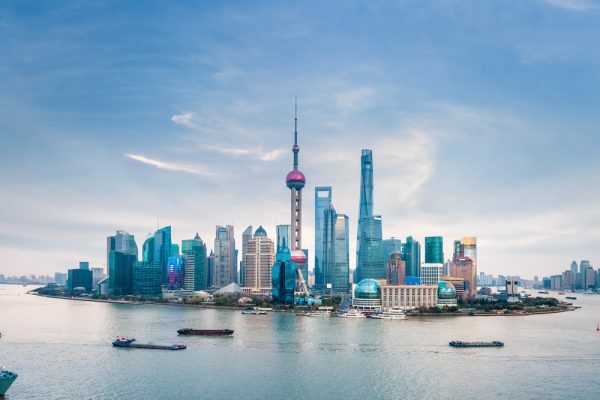 The country established its first free trade zone in Shanghai in 2013. Subsequently, in the following year, three more were established in Guangdong, Fujian, and Tianjin. A free trade zone can attract large volumes of overseas investment. These zones usually offer facilities that include free convertibility of the local currency, concessional or nil duties for imports and re-export, and a reduced level of restrictions on foreign direct investment. The new free trade zones will focus on different areas. Chongqing will work towards promoting the OBOR program while Zhejiang will develop large capacities in international maritime services and oil storage. Keen to start investing but would like more personalised help? Phillip Futures offers 1 to 1 coaching sessions. Sign up here! In 2014, the Shanghai – Hong Kong Stock Connect was launched. The purpose of establishing this link was to give international investors the opportunity to buy shares listed on the mainland. The tie-up also provided mainland investors the ability to invest in stocks traded in Hong Kong. With the success of this move, the Shenzhen – Hong Kong Connect was launched a few months ago. Trading, which began in December, gives investors in Hong Kong the opportunity to buy 881 Shenzhen-listed stocks. A daily limit of 13 billion yuan has been established for northbound investment. The limit for purchases in the opposite direction is 10.5 billion yuan. A number of technology stocks are listed on the Shenzhen exchange. This will prove to be a major attraction for Hong Kong investors. The Shanghai exchange lists comparatively few tech stocks. Some analysts have been making dire predictions about China’s economy. The main issues they raise concern the overheated property market, rising debt levels of companies as well as individuals, and the number of loss-making state units. How exactly does the Chinese government intend to achieve this end? Although it has not stated what it will do, it is likely that it will try to keep its currency at current levels and stem the surge of capital outflows. Meeting economic growth rate targets will, of course, remain a priority. Still unsure if China is the right investment for your portfolio? Speak with Phillip Futures today. In April, the manufacturing purchasing managers index (PMI) stood at 51.2 while the services PMI was at a level of 54. Both indicators registered declines from the previous month but remained well above 50. A score that exceeds this level means that the economy is expanding. Additionally, in the first quarter of the year, China grew at a 6.9% clip, recording two consecutive quarters of economic expansion. This is the first such instance in the last two years. These developments indicate that the outlook for China’s economy remains positive. Investors with a medium to long-term time horizon would do well to consider the opportunities that are currently available to them. Timing is key with investing, so if you want to take advantage of China’s growth opportunities, you have to act quickly. Sign up with Phillip Futures <here, and get started on your investment journey now.